Private Pay — A portion of clients pay for their service. The Area Agency on Aging oversees federal grant funds through the Older Americans Act. Funds secured through the Eastern and Northern Connecticut Area Agencies on Aging allow the agency to provide subsidized services to persons over the age of 60. All individuals participating in this program are asked to contribute towards the services. The Connecticut Statewide Respite Care Program, funded by the Department of Social Services, is operated in partnership with the Alzheimer’s Association Chapters of Connecticut and the Connecticut Area Agencies on Aging. Eligible families who are caring with someone with dementia may receive respite care services. Contact (860) 887-3561 or visit www.seniorresourcesec.org for more information. 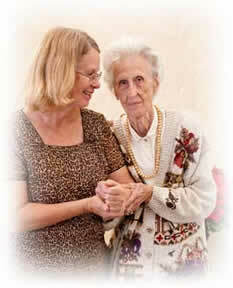 The Congregate Housing Services Program provides in-home services to the residents of Ganaden I and II in Willimantic. Contact (860) 887-3561 for information. The Family Caregiver Support Program, funded through the Older Americans Act and administered through the Area Agencies on Aging, allows caregivers providing care for a family member age 60 or older to receive needed services to supplement the services that the caregiver is providing. Contact (860) 887-3561 or visit www.seniorresourcesec.org for information.